After the government on Thursday raised concern on the draft US immigration Bill, which is expected to adversely impact Indian information technology companies operating in that country, the US government assured some provisions of the Bill would be amended. The assurance came as relief for the Indian IT services sector. After the fifth India-US strategic meeting with US Secretary of State John Kerry, External Affairs Minister Sushma Swaraj said, “We are not against the (immigration) Bill per se. Immigration is your internal matter. 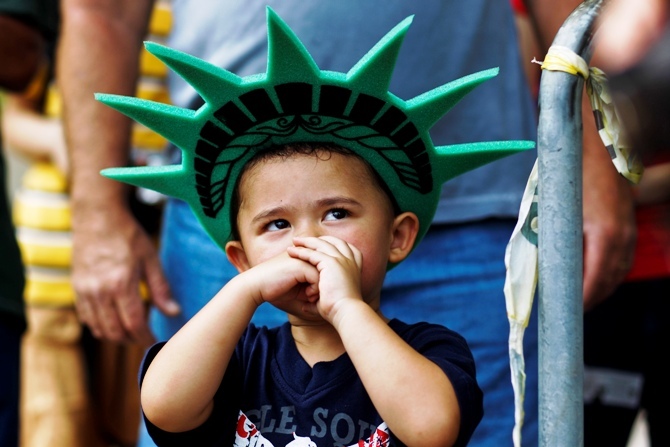 Image: A child attends a ceremony to reopen the Statue of Liberty and Liberty Island to the public in New York July 4, 2013. “But we certainly have concerns with the provisions that will affect the Indian IT industry if the Bill is passed in the present form. The Bill aims to double the cost of H1-B professional visas, restricting the ability of these companies to send workers to client sites. Kerry said US President Barack Obama was keen on amendments to the Bill, yet to be passed in the Senate, with regard to some concerns India had been raising for about three years. 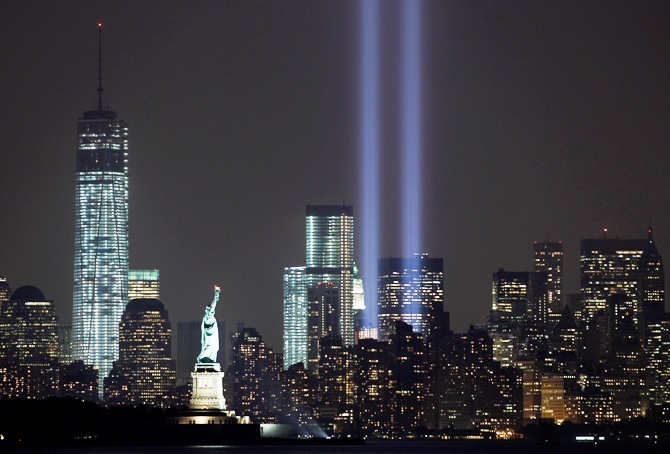 Image: The Tribute in Light is illuminated next to the Statue of Liberty (C) and One World Trade Center (L) during events marking the 12th anniversary of the 9/11 attacks on the World Trade Center in New York, September 10, 2013. “The House has not taken it up yet and it really appears that it won’t, certainly, before the elections, which is in three months. “The way it (draft immigration Bill) left the Senate leaves that it is in need of some amending. . . 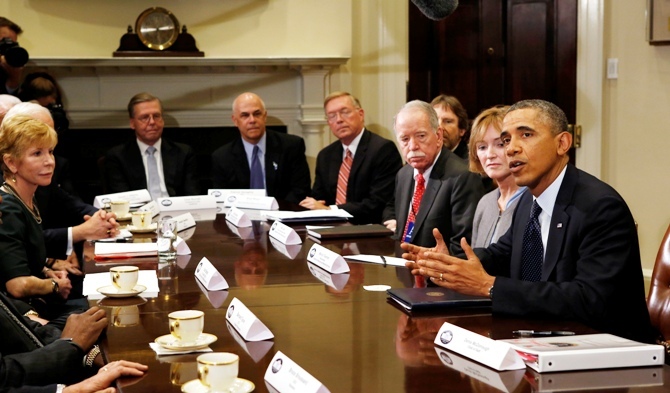 The US administration, President (Barack) Obama would support some changes that would deal with some of the issues (India’s concerns) and other issues,” he said, adding the Bill was critical for the US. He said he hoped after elections in the US, the Bill would be taken up and passed by the Senate. 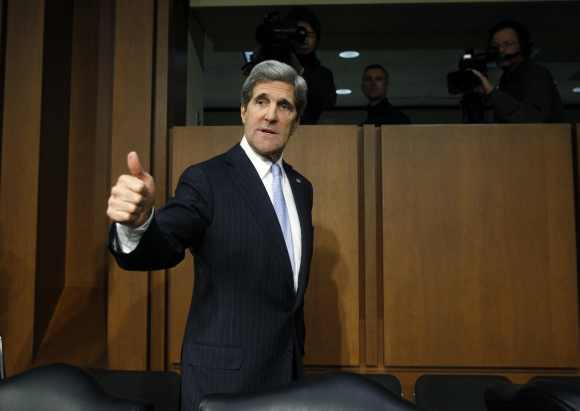 Image: US Secretary of State John Kerry. Officials told Business Standard the matter was also taken up by Minister of State (Indep-endent Charge) for Commerce and Industry, Nirmala Sitharaman, during a meeting with US Commerce Secr-etary Penny Pritzker here on Thursday. At the meeting, Sitharaman raised specific concerns of the Indian IT sector related to the Bill. Reacting to the US’ assurance to amend some provisions of the Bill, Nasscom President R Chandra-shekhar said, “We welcome the comment from US Secretary of State John Kerry that the US government will likely tweak some aspects of the US immigration Bill. 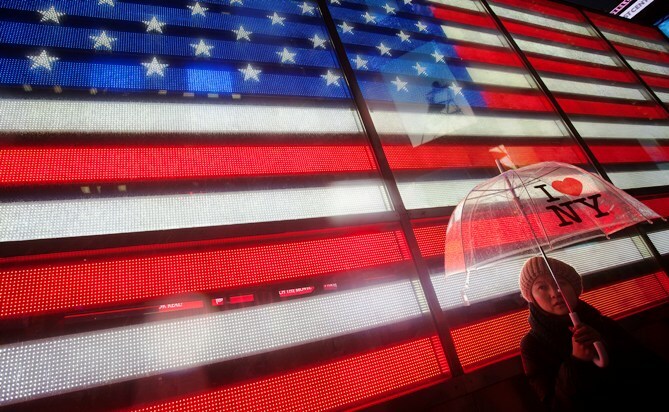 Image: A woman stands in the rain at Times Square in New York, November 26, 2013. “The immigration Bill, in its current form, would not only have impacted the Indian IT sector, but also created an adverse impact on the US economy and competitiveness of the US companies. Krishnakumar Natarajan, chief executive and managing director of Mindtree and former chairman of Nasscom, said, “The Bill was not going fast-forward. Either way, it wasn’t progressing fast and our anticipation is at this rate, it will easily take eight months to a year to take legislative form. Added former Nasscom chairman Som Mittal: “We had put our point of view across. “It has taken time. This (Kerry’s statement) also vindicates our position because it wasn’t that we were asking for any concession, just what was fair. 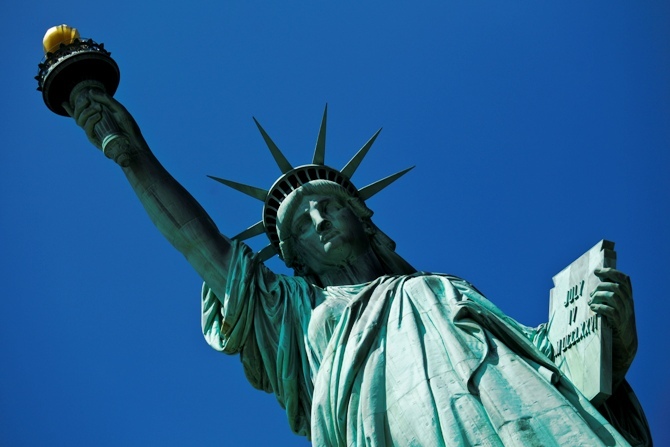 Image: The Statue of Liberty is seen during its reopening to the public in New York July 4, 2013. Will the new immigration bill benefit Indians?